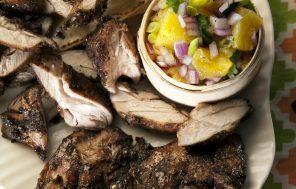 Once you’ve flirted with Jerk, you won’t be able to give it up – Great on the BBQ but still a hit in winter too, this spicy, fragrant and delicious combo is a Jamaican dream come true, and with my Jax Jerk Marinade* it’s so quick and easy to prepare, you’ll be Jamaican it every week! 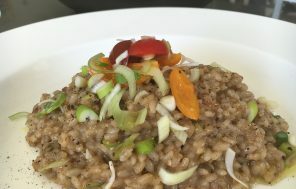 This delicious risotto is a gorgeous blend of spicy Jamaican Jerk and silky coconut cream – Don’t be selfish – it’s made for sharing, and with a bottle of my Jax Jerk Marinade on hand you’ll find yourself whipping it up in no time. Vegetarian, Dairy Free, Gluten Free, Vegan and Paleo. 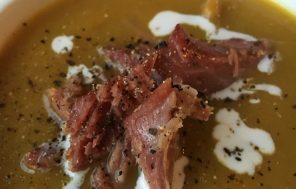 Thick, wholesome and a delicious take on the traditional, with a nice kick at the end to keep the winter chills at bay. Be economical, buy a whole pumpkin, make a big batch so on those cold winter nights, all you have to do is defrost, heat and enjoy, with a wedge of buttered bread. GET IT IN YA!!! 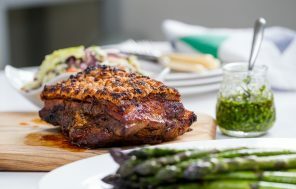 This meaty fish can really take and absorb the flavours of my Jax Jerk Marinade*, while still maintaining the delicate flavours. 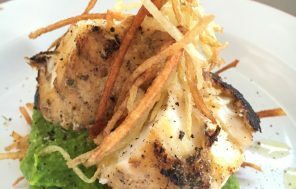 Paired with the sweet pea puree and crispy fries, this dish takes ‘Fish on Friday’ to a brand new level. Paleo/G.F. too!